Our Breyer Mid Year Horses arrived at our store after we left for BreyerFest. We are located on the opposite end of the country from Breyer and it takes a few extra days for shipments to reach us. 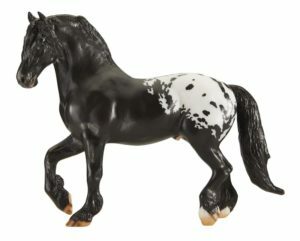 The Breyer Mid Year Releases that we had at BreyerFest were shipped directly to our hotel. Due to flight delays, I returned home from BreyerFest a day behind schedule on Tuesday, July 17th. The Mid Year Releases were waiting for me 🙂 I will begin processing orders tonight and aim to have everything shipped by the end of the week. Please note that it’s just me working the store and shipping orders this week. Hubby, Aidan and the BreyerFest Horses are still on their way home. Thank you to all that preordered through us, please watch for your shipment notification. Thank you everyone!